Now no need to get stuck into database programming for creating new database records, we have Database Converter Software that simplifies the entire conversion process. 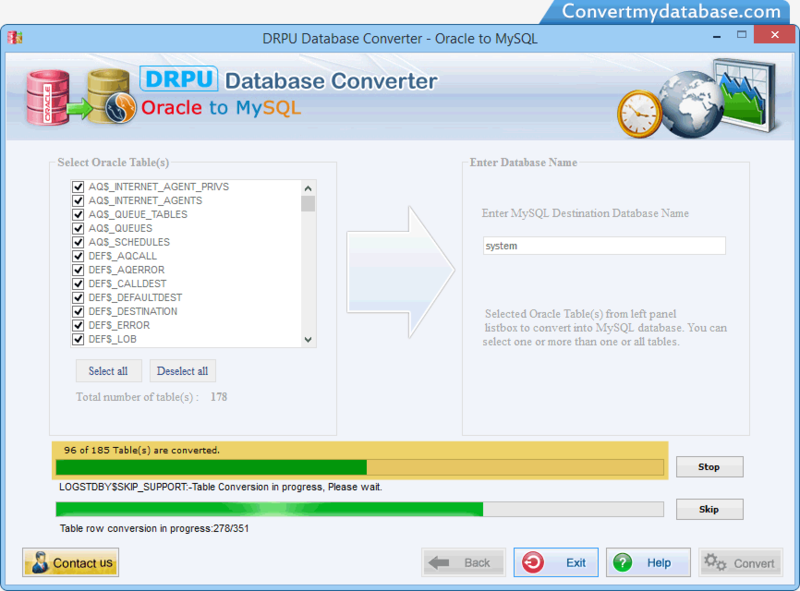 Oracle to MySQL Database Conversion Software is designed to convert Oracle database to MySQL server format. Conversion program maintains the original database without altering of crucial business details. Software provides fast and accurate results with maintained originality of database and save the converted database to specified location. Converter tool does not modify source database records and maintains database integrity while database conversion process. Software can be easily operated without requiring any specified technical skills to operate it. Capable of converting entire or selected Oracle database table records. Supports all Oracle database data types and attributes. Fully supports all major versions of Oracle database.